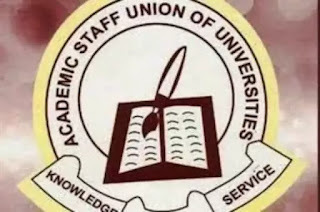 The Academic Staff Union of Universities has described the University of Ilorin as a terrorist organisation after the institution reportedly sacked the ASUU chairman in the school, Dr. Kayode Afolayan, for allegedly exposing corrupt practices of the outgoing Vice-Chancellor, Prof. Abdulganiyu Ambali. In a letter signed on behalf of the union by the chairman of the University of Ibadan chapter of ASUU, Dr. Ayodeji Omole, and the Zonal Coordinator, ASUU Ibadan Zone, Dr. Ade Adejumo, the lecturers said that Unilorin under Ambali devised all means to suppress legitimate industrial activities in order to avoid exposure of his misdeeds. The letter partly read, “Indeed, the university prides itself in its ability to kill off (members of) staff and students that are connected in any way to ASUU leadership. This hate crime on the part of the university is usually carried out under the guise of uninterrupted academic calendar. Yet, many universities have also maintained a stable academic calendar without destroying union members or their careers. To all intents and purposes, Unilorin has become a terrorist organisation as far as industrial relation is concerned. “Prof Ambali took all these to an unprecedented height when in 2015, he smuggled his wife, Dr. Taiwo Ambali, into the university through the temporary appointment route as Lecturer 1. By 2016, less than one year later, she had been promoted to the rank of Senior Lecturer, when the regulation specifies at least three years before such a promotion could take place. “Our branch chairman, Dr. Afolayan, on behalf of the union, signed a letter addressed to the school governing council to look into the infringement against the university Rules and Regulations committed by Prof. Ambali. However, rather than retrace his steps, the outgoing vice-chancellor issued a query to Afolayan alleging that they circulated an unspecified leaflet against the vice-chancellor. ASUU also alleged that despite its petitions to the Economic and Financial Crimes Commission, the Independent Corrupt Practices and other related offences Commission and other anti-corruption agencies, the reports of their investigations were never made public. “Equally worrisome is the seeming connivance of relevant authorities with Unilorin in its dastardly pursuit. For example, our union, since December 2016, had submitted petitions to the EFCC, ICPC and the CCB but until now results of ongoing investigations have not been made known to the public. Our union also wrote petitions to the Ministry of Education and the Visitor to the school but no concrete step has been taken. The silence by these relevant agencies and authorities casts serious doubt on the commitment of government in the anti-graft war,” the letter read in part.